At the right of the Connected Services, we can either Manage, Add or Remove, just by clicking on the appropriate command in order to do one of the ones mentioned. 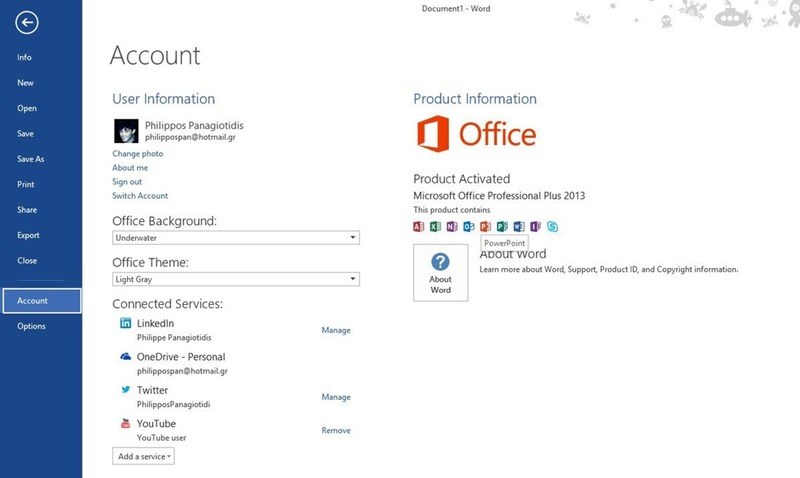 In the image below we can see the all the Connected Services in Word’s 13 Backstage View. 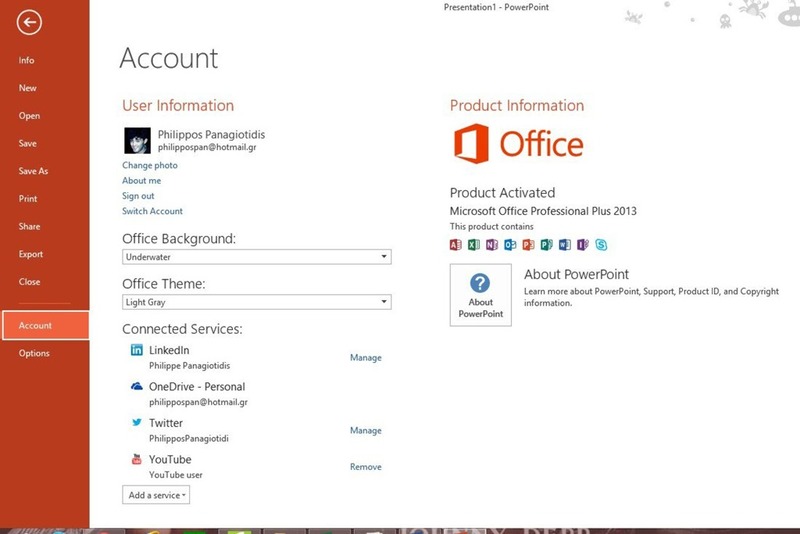 In the image below we can see the all the Connected Services in PowerPoint’s 13 Backstage View. 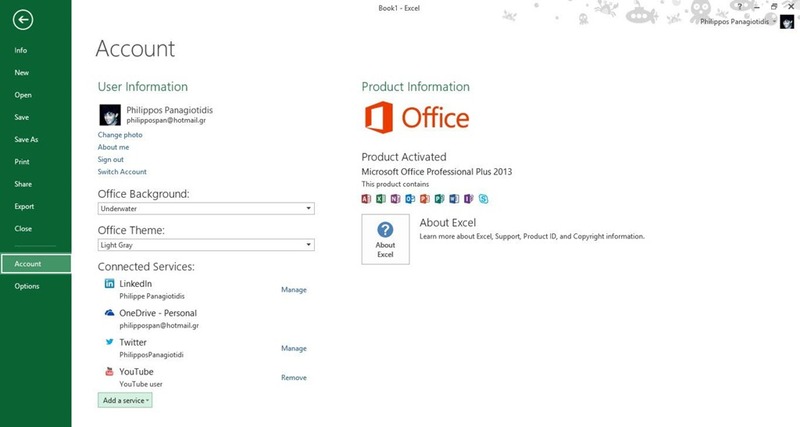 In the image below we can see the all the Connected Services in Excel’s 13 Backstage View. 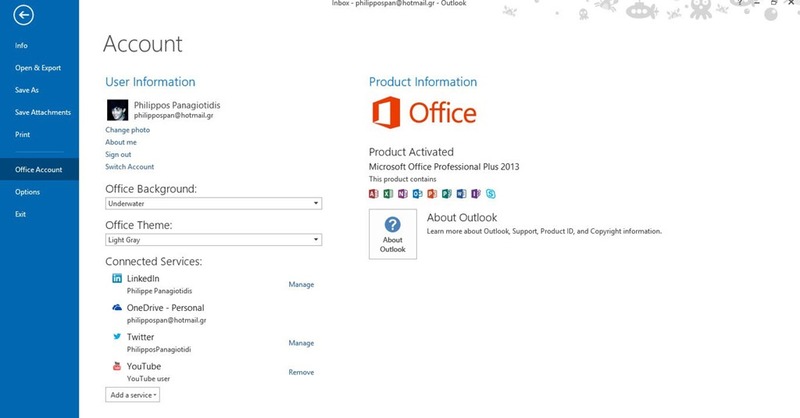 In the image below we can see the all the Connected Services in Outlook’s 13 Backstage View. Images & Videos: Once selected we can add pictures and videos from Facebook For Office or Flickr. Storage: Once selected we can store our documents in the cloud (Office 365 SharePoint, OneDrive) and have access to them from almost everywhere. Sharing: We can share our documents with friends and colleagues. In the image below I selected the command Add A Service, and from the menu that appeared I selected Images & Videos and all that is left is to select from the right where I want to add pictures and videos from. In the image below I selected the command Add A Service, and from the menu that appeared I selected Storage and all that is left is to select where I want to store my document. 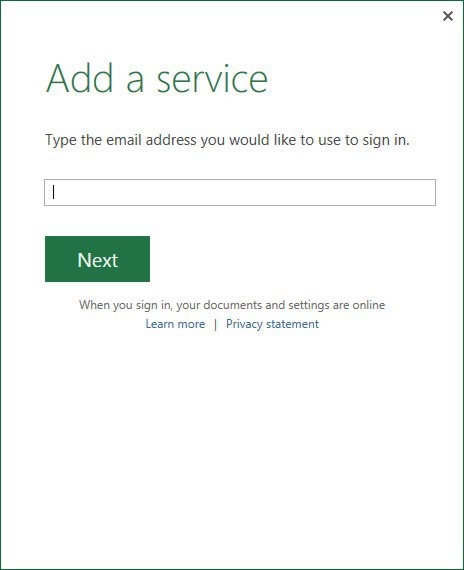 Whatever Service we choose to Connect with, a dialog box will appears, where we have to login in with our credentials in order to Connect with the particular Service as shown in the images below. Notice that some services may not be available anymore. 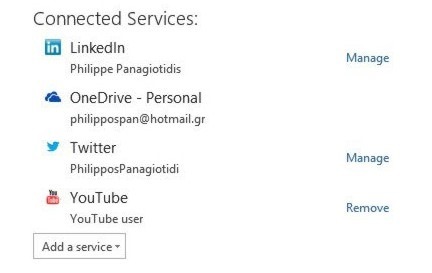 Below you can check out the video describing how to Connect Services in Office 13. 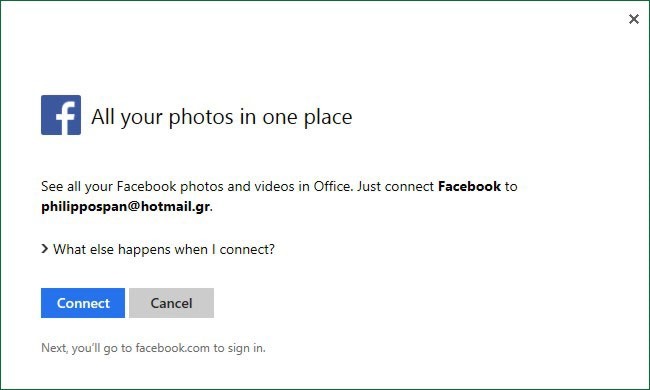 Posted on June 30, 2015, in Microsoft Office 2013 English, Office 2013 English and tagged Add, Add A Service, Connect a Service, Connected Services in Office 13, Excel, Images & Videos, LinkedIn, Manage, Microsoft Account, Microsoft Office 13, MVP, Office 365 SharePoint, Office Smart, Office System, OneDrive, Outlook, PowerPoint, Remove, Sharing, Smart Office, Storage, Twitter, Word, YouTube. Bookmark the permalink. Comments Off on Connected Services in Office 13.